The title is “ROLE OF ICT FOR THE ALLEVIATION OF POVERTY IN THE UNDER DEVELOPED COUNTRIES”. It is of great importance for the engineering students as it can help them in future to make full use of information and communication technologies for the development purposes. This one specially highlights the part of ICTs in poverty alleviation and related issues. We will discuss what poverty actually is and see it through the ICT lens and the condition of poverty in today’s world. We’ll also talk about the basic technologies that can prove to be helpful regarding this purpose and the strategies that can make improvement in the poverty affected areas. Some policy dimensions and reforms are also given. 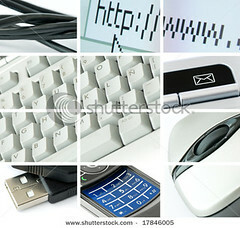 Information & Communication Technology (ICT) is a term that covers all forms of computer and communication equipment and software used to create, store, retrieve, transmit, interpret, and manipulate information in its various formats (e.g., business data, voice conversations, still images, motion pictures, and multimedia presentations). Studies in ICT1 combine many disciplines, with underlying principles based in mathematics, logic, physics, and psychology. Information and Communication Technologies for Development is a general term referring to the application of Information and Communication Technologies (ICTs) within the field of socio-economic development. ICTs can be applied either in the direct sense, where their use directly benefits the disadvantaged population in some manner, or in an indirect sense, where the ICTs assist aid organizations or non-governmental organizations or governments in order to improve socio-economic conditions. In many impoverished regions of the world, legislative and political measures are required to facilitate or enable application of ICTs, especially with respect to monopolistic communications structures and censorship laws. ICTs can only serve as effective tools of broad-based development, poverty reduction3 and opportunity for all, if people in every corner of underdeveloped countries—and at all levels of society—have reliable and affordable access to them. The major aid agencies and donors, as well as many country governments, are becoming increasingly enthusiastic about the prospects for improving the effectiveness of their development activities by making Information and Communication Technologies (ICTs) available to poor people. Information and knowledge are critical components of poverty alleviation strategies, and ICTs offer the promise of easy access to huge amounts of information useful for the poor. ICTs serve as new tools of instantaneous global communication and information-sharing and it would transform economy and society, bring people together, increase global understanding, and serve as tools of hope and opportunity for the poor. Before examining how ICTs might be used to alleviate poverty, it is appropriate to consider what is actually meant by poverty. The World Bank reports that of the world’s six billion people, 2.8 billion, almost half, live on less than US$2 a day, and 1.2 billion, a fifth, live on less than US$1 a day, with 44 percent of them living in South Asia. The Millennium Development Goals set for 2015 by international development agencies include reducing by half the proportion of people living in extreme income poverty, or those living on less than US$1 a day. The figure of US$1 income per day is widely accepted as a general indicator of extreme poverty within development discourse, but of course there is no absolute cut-off and income is only one indicator of the results of poverty, among many others. European Commission suggests that poverty should not be defined merely as a lack of income and financial resources. It should also include the deprivation of basic capabilities and lack of access to education, health, natural resources, employment, land and credit, political participation, services, and infrastructure (European Commission, 2001). An even broader definition of poverty sees it as being deprived of the information needed to participate in the wider society, at the local, national or global level (ZEF, 2002). Looking more closely at the access statistics reveals further levels of inequality within the developing countries there are areas that are least served. Typically, a high percentage of developing country residents live in rural areas. The proportion can rise to as much as 85 percent of the population in the least developed countries and is estimated at 75 percent overall in Asia. Rural access to communication networks in developing countries is much more limited than in urban areas. One of the reasons for the high degree of excitement in the last decade about the potential of ICT to combat poverty and promote sustainable development is that it is possible to discern an information, communication or knowledge component of virtually every development challenge. It is widely understood that information plays a vital role in the proper functioning of markets. Yet information flows are crucial to society more broadly. When information flows poorly, and the poor lack adequate access to information about rights, services, and opportunities; public institutions are often unresponsive to the needs of the poor, inefficient, and subject to corruption. When the poor lack information and knowledge about basic hygiene and health issues and resources, disease deepens and perpetuates their poverty. When poor farmers lack information about crop prices, new farming techniques, and new markets, they remain excessively dependent on middlemen, unable to adapt to environmental and market changes, and unable to get the best yield from their own labor and that of their family. When information flows poorly both within government institutions and between those institutions and their stakeholders, those institutions remain inefficient and more likely to make poor policies. Their lack of transparency makes them more susceptible to corruption and improper influence. When government institutions lack access to best practice, to information about their clients and their needs, and to knowledge about broader social and economic developments4, government officials often make short-sighted or self-defeating decisions. Also where information flows poorly between markets and institutions, investment and innovation are also scarce. Without adequate information and communications infrastructure as well as good physical infrastructure, foreign private investment will be limited. There is an important aspect to the relation between ICTs, economic growth, and poverty reduction. ICTs boost the productivity of individuals and firms, both by permitting greater outputs for a given input of scarce resources and by making available new information and knowledge about processes, products, techniques and markets. The poor typically spend a disproportionate percentage of their scarce resources (labor, time, money, land, water, and other resources) to secure the things necessary for themselves and their families because they have less access to the time-saving and productivity-boosting effects of technology. This is no less true with ICTs than with earlier technologies, from motors to tractors. Poor access to these efficiency-enhancing technologies and processes (and the innovations imbedded in them) cause developing countries to fall further behind the richer countries, in an increasingly global economy where this increased gap in productivity and innovation can be ruinous. As the World Bank's 1998/99 World Development Report clearly demonstrated, effectively creating, harnessing, adapting, and using knowledge is vital not only to growth and competitiveness in an increasingly global economy but also to addressing the needs of the poor and the root causes of persistent poverty. Getting the fundamentals right, so that markets work and macro-economic conditions are sound. Facilitating the diffusion of new technologies. Fostering a pro-innovation environment so future technologies will emerge and spread. Investing in human capital and adapting labor market institutions and policies to the changing nature of work. Improving the entrepreneurial environment to help commercialize new technologies. In this section we will discuss how ICT can help us in alleviating poverty through different technologies. We can achieve impressive results in the delivery of useful information to poor people through radio. One of its strengths is its ubiquity. A recent survey of 15 hill villages in Nepal found radios in every village, with farmers listening to them while working in their fields. In the Philippines, a partnership programme between UNESCO, the Danish International Development Agency and the Philippine government is providing local radio equipment and training to a number of remote villages. The project is designed to ensure that programming initiatives and content originate within the communities. According to UNESCO, the project has not only increased local business and agricultural productivity, but also resulted in the formation of civic organizations and more constructive dialogue with local officials (UNESCO Courier 1997). Clockwork radios that do not require battery or mains electricity supplies can be distributed to villages to enable them to listen to development programming. The Baygen Freeplay radio marks one of the first commercially successful communication devices to employ a clockwork mechanism as its power supply. It is sold on a commercial basis for approximately US$75 and can be used extensively by a number of non-governmental organizations as a key element in community education programmes, disaster relief efforts, health issues, broadcasting weather and announcement of government policies. For instance, In Ghana, the government distributed 30,000 Freeplay radios so villagers could follow elections. Television is commonly cited as having considerable development potential. Local TV stations can be used to broadcast health, education, government and agriculture related issues; problems can be addressed, and their solutions can be discussed5. Literacy rate can also be improved by creating awareness among the viewers. New technologies can be introduced through the programmes. Probably the most notable example of TV for development comes from China with its TV University and agricultural TV station. The village-based micro-finance organizations can lease cellular mobile phones to the residents which can deliver significant benefits to the poor. The phones are mostly used for exchanging price and business and health related information. They generate information flows that results in better prices for outputs and inputs, easier job searches, reduced mortality rates for livestock and poultry, access to emergency medical care, ability to deal with natural disasters and better returns on foreign-exchange transactions. Phone owners can also earn additional income from providing phone services6 to others in the community. For villagers in general, the phones can offer additional non-economic benefits such as improved law enforcement, reduced inequality, more rapid and effective communication during disasters and stronger kinship bonding. The phones can also have perceptible and positive effects on the empowerment and social status of phone-leasing women and their households. A study in China found that village that had the telephone, the most basic communications technology, experienced declines in the purchase price of various commodities and lower future price variability. It also noted that the average prices of agricultural commodities were higher in villages with phones than in villages without phones. Vegetable growers said that access to telephones helped them to make more appropriate production decisions, and users of agricultural inputs benefited from a smoother and more reliable supply. Public address systems can be used to deliver public information, announcements and the daily news. Public address systems are more localized than radio, but are technically simpler and less expensive. One community in Viet Nam is planning to augment its public address system by connecting to the Internet to obtain more useful information for broadcasting. However, research on poor communities suggests that the telephone and radio remain the most important (direct access) ICT tools for changing the lives of the poor (Heeks, 1999). Computers and the Internet can be made available to poor communities7 in the form of community-based telecentres. 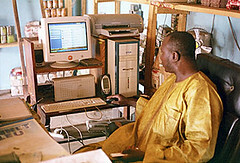 Community-based telecentres provide shared access to computers and the Internet and are the only realistic means of doing this for poor communities. Although telecentres come in many guises, the two key elements are public access and a development orientation. It is the latter characteristic that distinguishes telecentres from cyber cafés. Of course, the cyber café can be a useful device in fostering development through ICTs, but the difference is crucial, because development-oriented telecentres embody the principle of providing access for a purpose—that of implementing a development agenda. Computer literate telecentre staffs act as intermediaries between community members who may not be familiar with ICTs and the information services that they require. Telecentres8 can provide a range of ICT-based services from which they can earn an income, such as telephone use, photocopying and printing, email and word processing. This helps with financial self-sustainability, which telecentres are often required to attain, although some argue that ICT-based development services should not have to be paid for by poor people, and should be provided as a public service, rather like libraries. The results of experiments with telecentres are mixed: some have demonstrated considerable benefits for their target audiences; others are struggling with fragile connectivity and uncertain communities. Very few have achieved self-financing sustainability. Health care is one of the most promising areas for poverty alleviation with ICTs, as it is largely based on information resources and knowledge. ICT can play its role to achieve desirable health outcomes. ICTs can be used in underdeveloped countries to facilitate remote consultation, diagnosis, and treatment. Thus, physicians in remote locations can take advantage of the professional skills and experiences of colleagues and collaborating institutions. There are several other ways that ICTs can help to address the health challenges facing under developing countries. Third, ICTs can enhance the capacity and effectiveness of health care providers. Particularly in rural areas (where the majority of the world's poorest live), the shortage of health care professionals is exacerbated by their poor access to ongoing training and new knowledge and procedures. Fourth, ICTs can help broaden access to health care, particularly by permitting forms of remote diagnosis and treatment in areas where local health care providers are few in number or have limited skills. Apollo Hospitals has set up a telemedicine centre at Aragonda in Andhra Pradesh, to offer medical advice to the rural population using ICTs. The centre links healthcare specialists with remote clinics, hospitals, and primary care physicians to facilitate medical diagnosis and treatment. The rural telemedicine centre caters 22 to the 50,000 people living in Aragonda and the surrounding six villages. As part of the project, the group has constructed in the village a 50-bed multi-specialty hospital with a CT scan, X-ray, eight-bed intensive care unit, and blood bank. The physician can send the pictures over the Internet to a medical institute in the UK for further evaluation. X-ray images can also be compressed and sent through existing telecommunications networks. The meaning of the term capacity building seems to vary according to the user, but there appears to be no doubt that ICTs can help achieve it. Capacity building refers to developing an organization’s (or individual’s) core skills and capabilities to help it (him/her) achieve its (his/her) development goals. “The full realization of the potential of ICTs requires skills, training, individual and institutional capacity among the users and beneficiaries”. 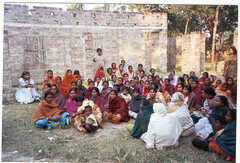 ICTs in the form of multimedia community centers/telecentres, especially at the rural level can act as a nodal point for community connectivity, local capacity building, content development and communications, and serve as hubs for applications, such as distance education, telemedicine, support to small, medium sized and micro-credit enterprises, promotion of electronic commerce, environmental management, and empowerment of women and youth. So, there has been increased emphasis in recent years on the importance of education, training, skills development, and access to global knowledge in the context of the emergence of globalized markets and the growth of knowledge-value-added goods and services within that global marketplace. Simply put, access to education and knowledge helps the poor to improve their current livelihoods, address impediments and vulnerabilities that prevent them from seeking opportunities to improve their lives, and participate in new sectors of the economy that require greater skills and therefore offer higher incomes9. ICTs can simultaneously be a threat and an opportunity to a culture. On the one hand, ICTs threaten to engulf indigenous minorities in the relentless processes of globalization. On the other hand, ICTs can be used as tools to help indigenous minorities to engage positively with globalization on their own terms. 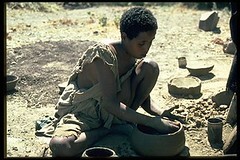 ICTs alone will not achieve cultural diversity. As with all successful applications of ICTs, adaptations in the behavior of individuals, groups and institutions are necessary before significant cultural benefits can emerge from the deployment of ICTs. Existing institutions such as libraries and museums can help in the process of democratizing ownership of cultural assets, provided they face up to the limitations of their traditional roles. The Internet has made the conventional role of libraries and museums obsolete. Yet such institutions have major roles to play in mobilizing communities towards a more open and dynamic approach to the assembly and preservation of indigenous culture. Networks that connect digitized cultural artifacts to the communities from which they were derived can be used to foster a wider appreciation of their value and importance as well as a more inclusive approach to how they are used and interpreted. Research suggests that increasing agricultural productivity benefits the poor and landless through increased employment opportunities. Because the vast majority of poor people lives in rural areas and derives their livelihoods directly or indirectly from agriculture, support for farming is a high priority for rural development. ICTs can deliver useful information to farmers10 in the form of crop care and animal husbandry, fertilizer and feedstock inputs, drought mitigation, pest control, irrigation, weather forecasting, seed sourcing and market prices. Other uses of ICTs can enable farmers to participate in advocacy and cooperative activities. Two areas of employment opportunity arise from the deployment of ICTs. First, unemployed people can use ICTs to discover job opportunities. Second, they can become employed in the new jobs that are created through the deployment of ICTs. Poor people in rural localities lack opportunities for employment because they often do not have access to information about them. One use of ICTs is to provide on-line services for job placement through electronic labor exchanges in public employment service or other placement agencies. The greater transparency enabled by ICT opens up possibilities for more precise information seeking. Tools have been developed to assist employers in screening résumés, or to send e-mails automatically to jobseekers when job vacancy announcements fitting certain pre-selected criteria are posted. In some countries in the region, telecentres are being set up through public and private initiatives in telephone shops, schools, libraries, community centers, police stations and clinics. Sharing the expense of equipment, skills and access among an ever-increasing number of users also helps to cut costs and make these services viable in remote areas. People with appropriate skills, possibly obtained from ICT-based learning facilities, may gain employment as a result of the growth in remote ICT processing facilities that are located outside high-income countries. The facilities provide a range of services, including help lines, technical support, reservations handling, sales, data conversion, as well as voice and data transcription. Other remote processing services are payroll accounting, internal auditing and credit appraisals. High-end remote processing includes creating digitized maps of townships, utilities, roads and other facilities. In the case of Internet diffusion, a consistent finding of surveys of Internet users and providers in underdeveloped countries is that the lack of local language and locally relevant content is a major barrier to increased use. Unless, there is a concerted effort to overcome this constraint, Internet growth in many underdeveloped countries could be stuck in low-use equilibrium (Kenny et al., 2001). At the same time, steady and substantial increases in telecommunications bandwidth, fueled by the widespread deployment of fiber-optic cables, satellites, and wireless technologies12, made it easier and cheaper to share information globally and to communicate instantaneously at long distances. Considering these telecommunication reforms the government of Pakistan has also introduced some which have really proved to be useful. A considerable rise in foreign Direct investment (FDI) can be observed in IT sector as a result of a conducive and liberalized environment in the country. FDI has jumped (see Figure) from US $ 0.22 billion in FY04 to US $ 1.94 billion in FY06. Global System for Mobile Communication (GSM) Association has awarded Pakistan its prestigious Government Leadership Award for introducing successful reforms in the country’s telecommunication sector. The largest numbers of poor people in Asia live in rural settings. Consequently, poverty alleviation is inextricably interwoven with rural development, and urban development without rural development is ill advised. Most rural areas are typified by scattered settlements, villages and small towns, which may be hundreds of kilometers from the nearest major urban centre. High levels of traffic per telephone line due to the inadequacy of telecommunication services and the large numbers of users per line. Pakistan Software Export Board (PSEB) has been established to ensure the developments and implementation of a national policy framework. 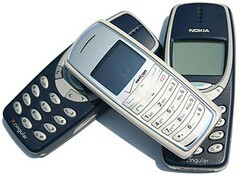 Telecom Deregulation Policy and Cellular Phone Policy were announced in 2003 and 2004 respectively. To enhance the rural Teledensity and to provide basic telecom services to under and un-served area of the country, the government has brought legislation for developing Universal Service Fund (USF) framework. Mobile phone subscribers have shown a growth of 98 percent over the last five years and reached 16 million in FY05 from almost 0.3 million in FY00. Teledensity has been improved from 2.4 percent in FY00 to 13.7 percent in FY05. Internet users at growth rate of 76 percent increased over 2 million in FY05 as compared to 0.5 million (see Table) in FY00. Given these positive trends, there is still room for Pakistan to explore various dimensions of ICTs leading towards economic growth and poverty alleviation. The majority of the world's poor (roughly 75% overall, 90% in Africa) live in rural and remote areas. Most depend primarily on agriculture for their livelihood. There are many ways in which ICTs, properly designed and deployed, can help increase access to vital information and knowledge. The rural poor in fact possess a rich store of highly contextual (and therefore highly valuable) local knowledge: about which crops work best in which fields, about long-terms trends in local agriculture, about local microclimates. This leads to two important points about using ICTs to help rural farmers. The first is that it is crucial to begin from an understanding of the information and knowledge assets of the rural poor in a given region or country, and then determine, in consultation with them, what their priority needs are for new or enhanced information or knowledge. The second point is that the new information or knowledge provided to them needs to be made available in a form that is appropriate and is affordable in terms of its demands on either their cash or noncash resources (including their time). In addition to enhanced information and knowledge, rural farmers need better access to other resources, to markets for their products, and to a range of government services, including land titling, which is crucial to their ability to seek credit. ICTs can help markets and government institutions work more effectively for the poor by lowering transaction costs, providing better choice, and decreasing opportunities for various forms of rent-seeking, including local government corruption. These improvements in the functioning of rural markets and government institutions can also help create the environment for non-agricultural economic development in rural areas. Both in underdeveloped and developing countries, there has been great interest in recent years in the ways in which ICTs might make governments at all levels more effective, efficient and accountable. In fact, it is easy to perceive many of the challenges facing governments — and thus citizens — in developing countries as having an information and communication dimension, and thus to understand how ICTs could play a creative role. ICTs can also empower individual citizens and groups to hold government officials publicly accountable, by widely disseminating information not only about the resources available to local governments and agreed performance measures for spending those resources, but also about the government's actual performance relative to those measures. As a crosscutting multidimensional approach to development, ICTs can stretch implementation energies to the full. They also challenge traditional approaches to development. But they promise substantial improvements in the daily lives of millions of poor people. The framework for poverty alleviation is offered as a tool for guiding efforts towards achieving this potential. The framework allows for a full consideration of the range of relevant critical factors prior to embarking on implementation as well as for post-hoc reflections on outcomes. It represents a first effort, and it is acknowledged that other, similar tools exist. Through a combination and further synthesis of experiences and observations, the framework can become a practical tool for use by planners and policy-makers with general applicability in multiple contexts.